Holidays present the ideal opportunity for marketers to unite with consumers around a common date on the calendar. From the Fourth of July to Christmas, celebratory days are a gimme in the marketing world. There’s one holiday, however, that is not necessarily on everyone’s radar—much to the amusement of the people who do celebrate it—and that’s April Fools’ Day. Each year on April 1, unsuspecting people are tricked, fooled, bamboozled—(call it what you will, it never gets old), and big brands like to get in on the action as well. 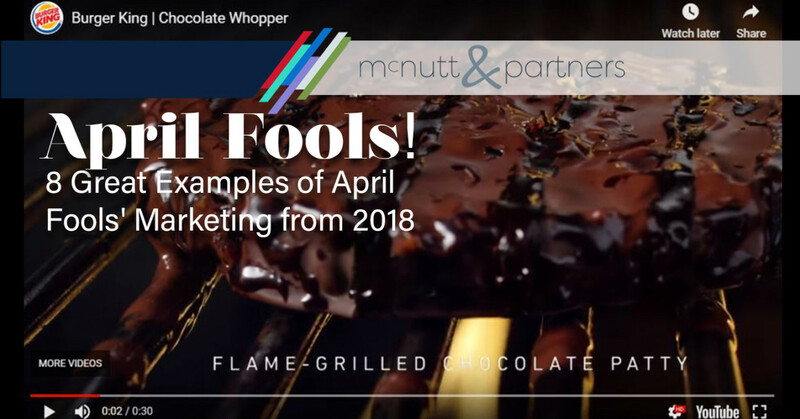 Here, we’ll check out some April Fools’ Day marketing examples from last year—and keep an eye out for today’s mischief! A chocolate Whopper? 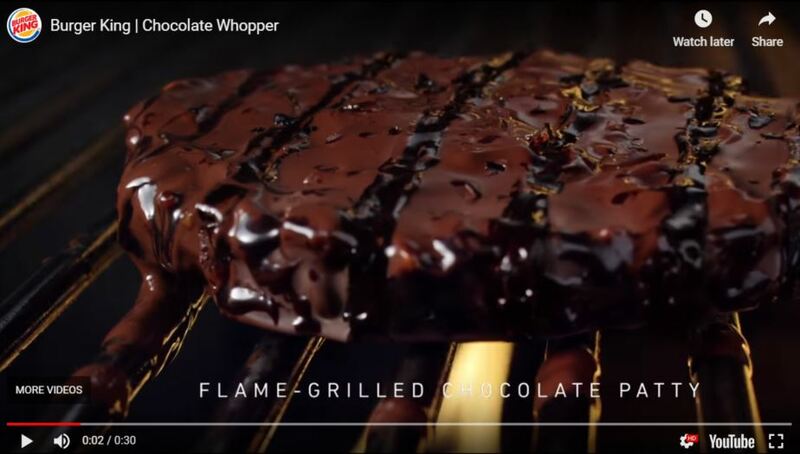 It’s not necessarily out of the realm of possibility, especially when Burger King puts together a high production-quality commercial advertising a chocolatey version of its star menu item. Complete with a chocolate cake bun, flame-grilled chocolate patty, raspberry syrup and white chocolate onion rings—we’re not saying we wouldn’t try it. Watch the ad here. 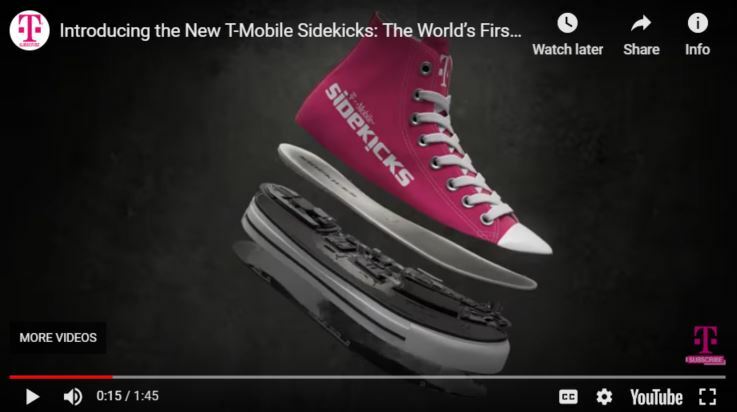 T-Mobile revealed a “new” tech/fashion hybrid product last April Fools’ Day called the Sidekicks SmartShoePhone (Say that 10 times fast.) The Sidekick itself was a slider phone that T-Mobile produced from 2002 to 2010, but in its April Fools’ resurgence, it’s an actual pair of shoes with phone capabilities, advertising that “now, all of the capabilities of your phone are at your feet.” Watch the ad here. Another instance of a new food product announcement for April Fools’ Day marketing came from Coca-Cola. 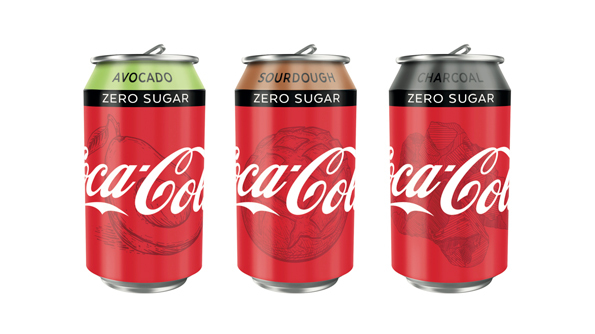 Coca-Cola Britain announced three new millennial and “brunch-inspired” flavors, including Avocado, Sourdough and Charcoal—all with zero sugar, of course. The faux launch article states, “Their arrival follows intensive social media research to understand the taste buds of a new breed of brunch-loving, superfood-snacking millennial.” Read more here. Where’s Waldo is a throwback for many of us, but Google Maps brought him back last April Fools’ Day. This one was more of an interactive play than a joke, but it was in keeping with the humorous theme of the holiday. Google Maps users were instructed to “find” Waldo and his friends in various places around the world using the app. Read more here. “Head, shoulders, knees and toes (knees and toes! )” You know it, and you probably love to hate it. 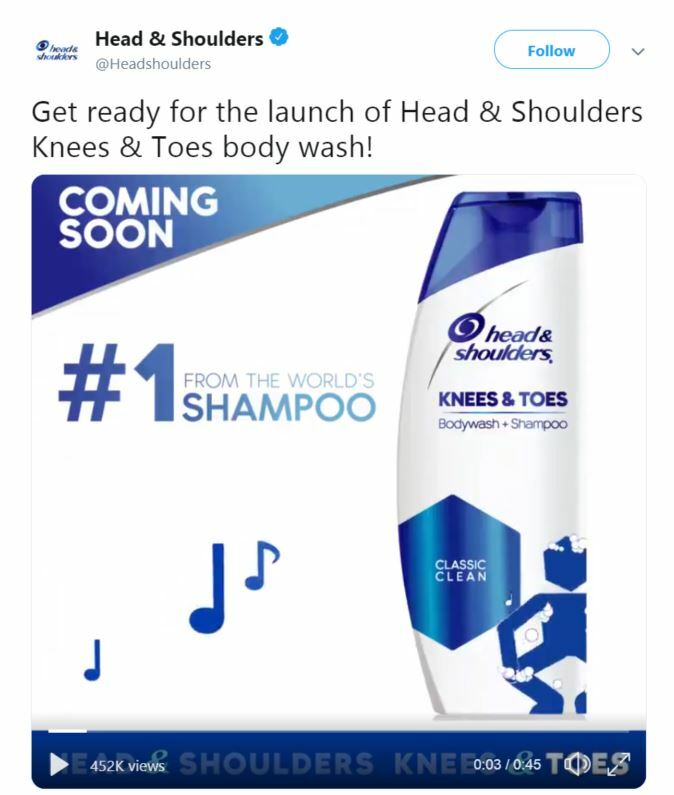 Proctor & Gamble’s Head & Shoulders shampoo capitalized on this love/hate relationship with the jingle during its April Fools’ marketing campaign last year. Check it out here. Now this is a fake product we could actually use. 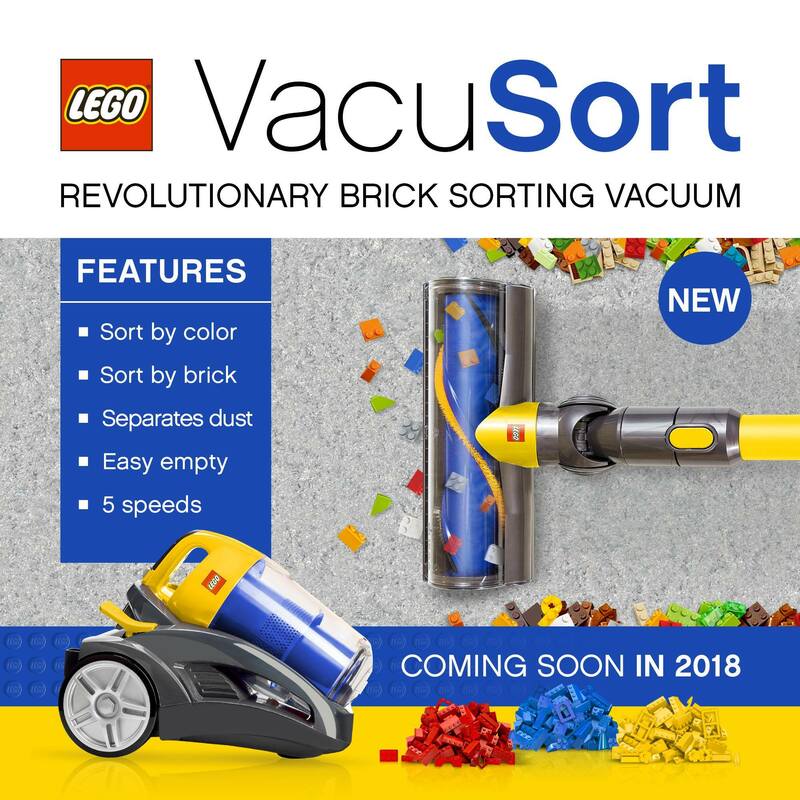 Lego’s VacuSort specifically sorts all of the painful Legos populating your playroom floor—and even does so by color and brick size. A clever idea, but unfortunately it was just for laughs. See the Facebook post here. Binge watching TV series has become a modern-day pastime, and Roku saw the opportunity to play into that commonality last April Fools’ Day. 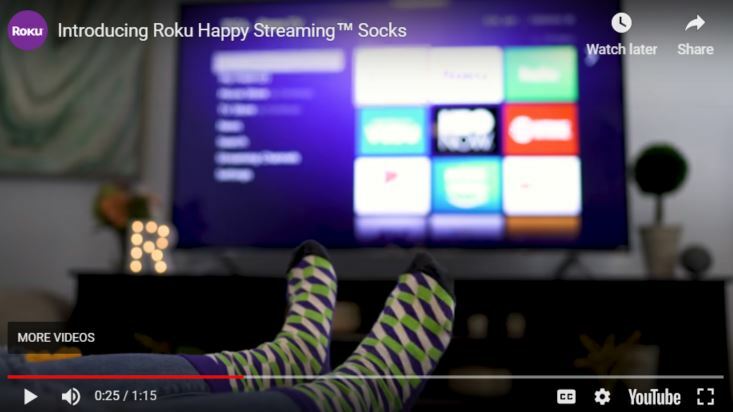 Introducing Roku’s Happy Streaming Socks! “The long time battle between snack and remote comes to an end with a new innovation from Roku Devices.” These socks allow you swipe your foot to navigate your TV’s home screen, so touching your remote with snack residue-covered hands is a thing of the past. Watch the ad here. 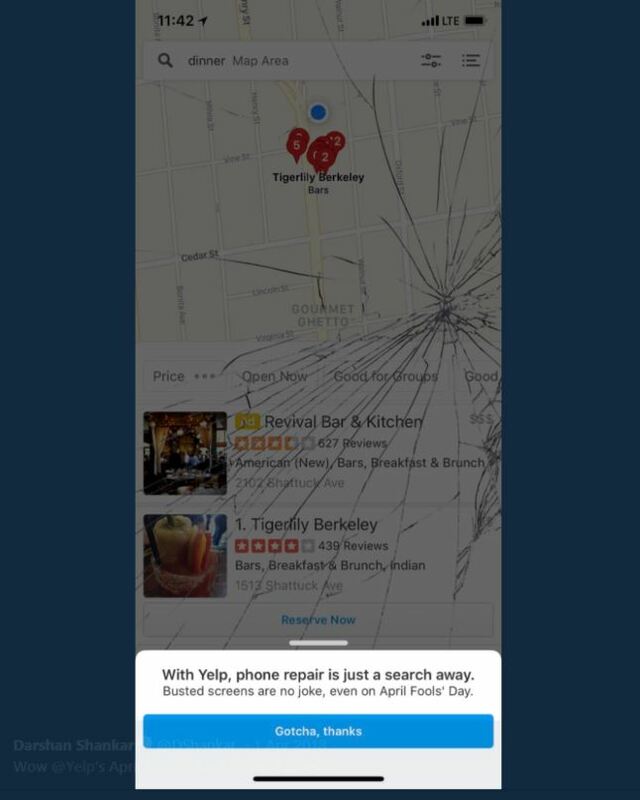 Local-search service Yelp went for the shock factor last April Fools’ Day. When users opened the app, it appeared that their screens were cracked—but April Fools! It was a hook to advertise the fact that you can find phone repair services by using Yelp. Whew, that was a close one. Read more here. Let these April Fools’ Day marketing plays remind us how to have fun with our marketing messaging. And be careful out there—brands aren’t the only one playing April Fools’ Day pranks! Whether it is cultivating a social media presence or simply checking the weather in the mornings, almost everyone alive today is online in some form or fashion—and with everyone being on the internet, everyone has an opinion. If you are working to build a brand presence online, you’ve probably been given advice (solicited or not) from friends, family, colleagues and neighbors. But whose advice is right? In an “everybody’s an expert” environment, it can be difficult to sift through the fiction to get to the facts. 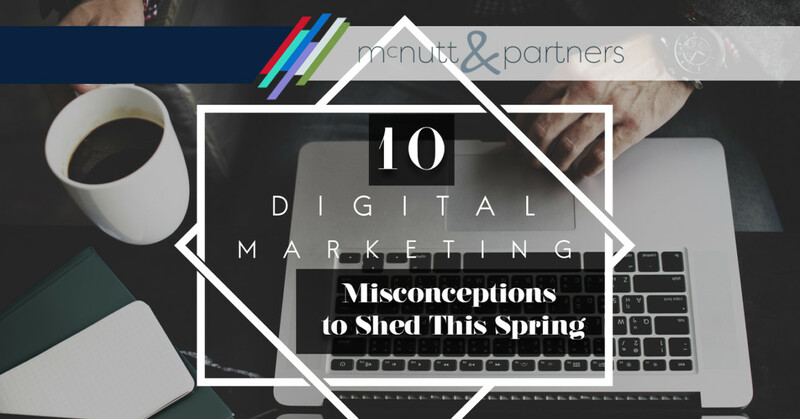 Here, we’ll help by pointing out a few common digital marketing misconceptions. You should post to social media several times a day. While posting to social media multiple times a day might be right for some brands, it can have the opposite effect for others. It’s true that organic reach has declined on social media for business pages, but that does not mean you should oversaturate your accounts with multiple posts per day. This can get annoying to your followers, and the last thing you want is for them to unfollow you in an already-limited organic reach climate. Start out with caution when it comes to your posting schedule. Monitor feedback, and increase your posting frequency gradually if people are engaging with your posts. You should be more focused on follower engagement on social media than the number of posts you put out there. Think quality over quantity. You only need to be present online where your competition is. “The guy across the street isn’t online, so why should I be?” Wrong! If your competition isn’t online, that’s exactly why you SHOULD be. Being present online is no longer optional. Though your competition may not be online, your audience is, and it has expectations. Conversions only count when someone makes a purchase. Digital marketers want conversions, which refers to the point at which a potential lead becomes an actual customer. However, among the digital marketing misconceptions out there is the idea that you only count conversions when they lead to a sale. False. Conversions come in all shapes and sizes. A conversion can include any call to action, whether it is someone signing up for your email list, filling out your contact form or even downloading resources you have posted on your website. The truth is, each of these could potentially lead to revenue, which means they should not go ignored. You can “set it and forget it” in terms of SEO. Absolutely untrue. SEO (search engine optimization) works as an ongoing process. It involves strategies like keywords, backlinks, website speed and security, mobile friendliness—the list goes on. Each one is another drop in the bucket for SEO. As you continue to create and disseminate digital content and assets, you should continue to optimize that content for search rankings. Blogging is more of a hobby than a digital marketing necessity. Anyone can go online and start a blog. From clean eating to collecting stamps, there’s a blog out there for anything and everything. When it comes to digital marketing, however, blogging is a tool that you should not proceed without. The benefits of blogging from a marketing standpoint are twofold. For one, it shows brand followers that you know your stuff—and that you care enough to share your industry knowledge with them. On the other hand, maintaining a blog is also beneficial for SEO. It gives you a space to incorporate keywords, backlinks and just general fresh content—all of which make your site look good in the eyes of a search engine. Only “exciting” businesses should be on social media. The great thing about the internet is, it’s all-inclusive. You may think that plumbing, pest control or paper products are too “boring” to sustain social media accounts, but you’d be wrong (and we’ve run accounts for businesses in these industries to prove it). Each business niche serves a specific group, whether your brand is B2B (business-to-business) or B2C (business-to-consumer). That means your content will be of use to someone, even if it is not interesting to everyone. Email marketing is dead. With so many digital marketing routes to take, you may wonder whether email is becoming obsolete. The short answer—it’s not. Email is still a very viable tool for reaching a targeted consumer base. According to a report from The Radicati Group, people were expected to send and receive 281 billion emails per day in 2018, which was higher than in 2017. 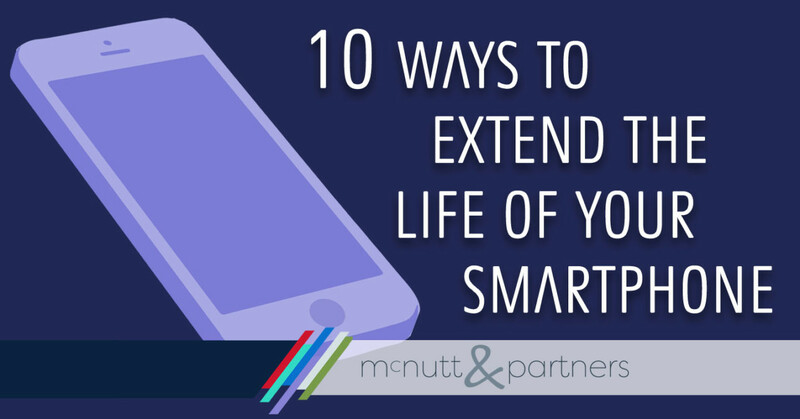 In the United States, more than 85 percent of adults send or read email, according to the same study, and 99 percent of those people check their email every day. If you’re not tapping into those numbers in your marketing efforts, then it’s your loss! A website is all you need for successful digital marketing. Website traffic is the ultimate goal for many brands, but that does not mean that a website is the only asset you need in your digital toolbox. You can have the most user-intuitive, mobile-friendly, responsive website out there, but that means nothing if you are not directing traffic to it. The way you do that is via other marketing means, like social media, email, paid online ads and even traditional marketing platforms. that is updated on a regular basis. Word-of-mouth trumps the need for digital marketing. Consumers rely heavily on word-of-mouth referrals, and that’s something that will likely always be the case. However, word-of-mouth can also happen online, with your digital marketing efforts facilitating. For example, word-of-mouth could be asking customers to leave an online review, a branded hashtag or even a photo of their experience in a retail space. The concept of word-of-mouth has essentially expanded beyond physical speech to opportunities made possible in an online setting. Don’t get caught up in digital marketing misconceptions. 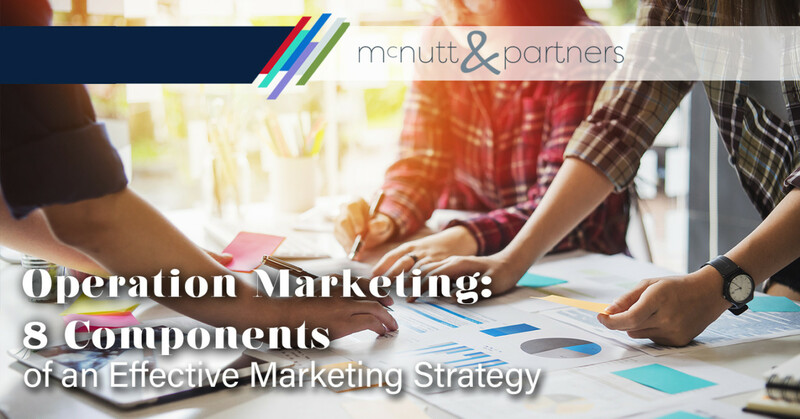 If you need more help distinguishing between fact and fiction in your digital marketing efforts, the McNutt & Partners team can help. Call us at 334-521-1010, or fill out our contact form for more information. Our assigned generations serve to categorize us among others who have shared and continue to share the same cultural experiences that we have along the timeline of human existence. Right now on that timeline, we are watching Baby Boomers retire, Gen Xers raise their families and Millennials begin and progress in their careers. Among all that activity, there is another generation playing an increasingly important role: Generation Z. Gen Z generally refers to those born after 1996 through the mid-2000s, meaning the oldest of the bunch is turning 23 this year. In marketing, that means it’s time to start thinking about Gen Z as consumers. They’re the generation of smartphones, tablets and search engines. The generation of Alexa, Netflix and Google. Even the oldest members of Gen Z have barely known a world where the internet wasn’t 100 percent at our fingertips. 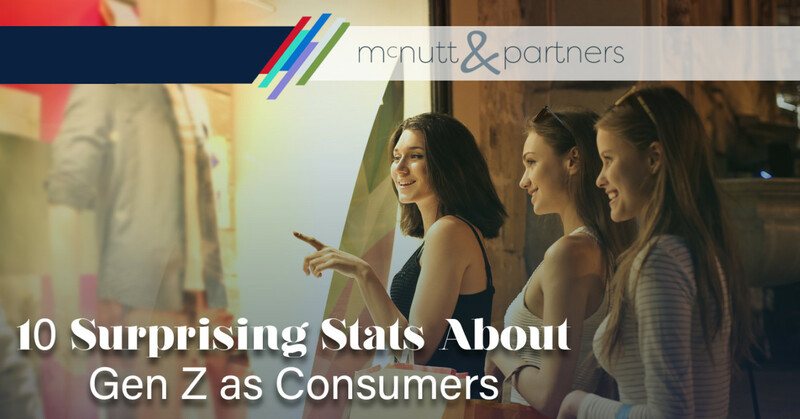 Though they’re young, Gen Z is already infiltrating the world’s consumer base, meaning that products are increasingly being designed and marketed with their preferences in mind. Gen Z members have been digitally immersed for their entire lives, which is something to keep in mind when considering Gen Z as consumers. Let’s look at a few other surprising stats, courtesy of a study by WP Engine. Gen Z influences as much as 93 percent of family consumer decisions. From food to tech purchases, younger family members have a significant say. By 2020, Gen Z members will make up the largest group of consumers in the world. In fact, as a quarter of the population, they already represent up to $143 billion in spending power globally! 55 percent of Gen Z can’t go more than five hours without internet access. They were born with the internet in hand, so it’s not exactly surprising. By comparison, 22 percent of Baby Boomers say they can go more than 168 hours without access to the internet. 54 percent of Gen Z believe that internet influencers are more important than politicians. This includes people who build and manage websites. 68 percent of Gen Z think websites will intuitively know what they are looking for upon visiting a web page. To add to this, 40 percent said they would leave a web page if it didn’t anticipate their needs. Websites better be on the ball when Gen Z comes through! 44 percent of Gen Z would forgo privacy concerns by providing data if it meant their websites could give them a more personalized experience. Hello, marketers—something to think about when considering Gen Z as consumers. Marketers have seven seconds to capture Gen Z’s attention before they move on to something else. By comparison, they have 12 seconds to make a mark on Millennials. 61 percent of Gen Z prefers websites over apps when it comes to making online purchases. It’s not an overwhelming number, but could be a trend to watch going forward as Gen Z’s successor, Generation Alpha, comes onto the scene. 75 percent of Gen Z trusts online-only companies. Face-to-face interaction with a store owner at a brick-and-mortar location was once the preferred way to go. However, internet-only companies have more credibility with the tech-dependent generations. It’s not that Gen Z is on the verge of making a significant impact on consumerism—it’s already happening. If you aren’t already considering the weight of Gen Z as consumers in your marketing efforts, now is the time to start. You’ve heard of spring cleaning—the idea that the change of seasons is the ideal time to open the windows, let in the fresh air and sunlight and rid your home of all of the dust and debris that accumulated while you were holed up all winter. 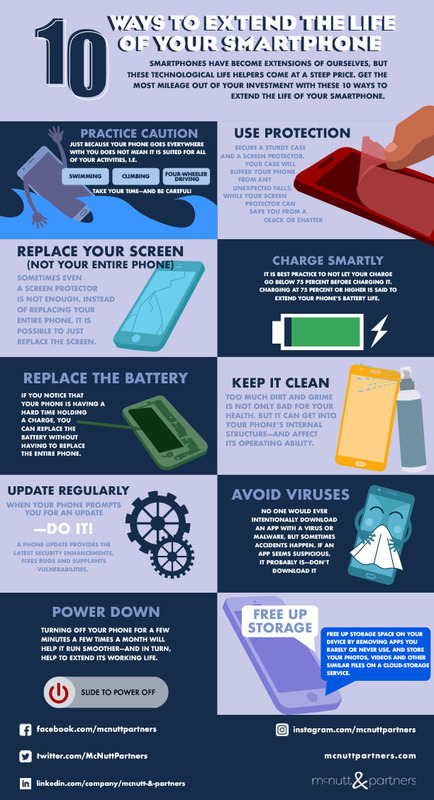 But besides your home and your vehicle, spring cleaning can also apply to other aspects of your life—like your social media accounts. In general on social media, the more “likes” and “follows” we have on our pages, the better we feel. Some of these followers, however, could actually be doing you more harm than good. Fake social media followers can ruin your account’s credibility—and you might not even know they are there until you look. What are fake social media accounts? An account that we are describing as a “fake” social media account can often look like a real, legitimate social media user with a profile picture, person’s name, bio, etc. But beware—some of these are bots. Bots are essentially algorithms acting within social media networks. Bots serve to mimic human social media followers in the way they comment on and like posts. According to a study cited by Forbes, 30 percent of legitimate social media users can be fooled by a bot. There are certain things you can look for when spotting these fake social media followers, which we’ll address later. Social media bots exist for a variety of reasons. Some serve to convince you to buy things. Others signify some sort of influencing opinion and want to sway you to agree. Still others exist simply to cause trouble, mimicking legitimate social media accounts of celebrities and politicians, for example. There are companies that create these bots and sell “followers” to everyday businesses looking to increase their followings. This is obviously a no-no. Read on to learn why. Why is having fake social media followers bad? You might think, “The more likes, the better” when it comes to your social media pages, but this is not necessarily true. The more quality likes, the better, is more like it. Fake followers can not only harm your page’s credibility, but they can actually affect the way your posts are disseminated to your legitimate followers. Most social media algorithms limit your posts’ initial organic distribution to only a select number of your followers. Now consider the fact that some of that initial sample of users who your posts reach organically are fake social media followers. The post is essentially wasted on these false accounts when it could have reached a higher number of legitimate ones. If you have too many of these low-quality followers, your initial engagement will be low, and the algorithm will not push your content any further beyond that initial sample group. This equals poor reach for your social posts. How can I spot fake followers? Though bots aim to mimic “real” social accounts, there are some very telltale signs that a social account is not backed by an actual human being. High follower count with few posts. If an account genuinely earned a significant number of followers, there would be posts to back it up. Maxed out following count. Instagram limits the number of users you can follow to 7,500, for example. Fake social media followers are more likely to max out their follower count than authentic accounts are. Questionable profile. Is there no profile picture, or a profile picture of say a gorgeous model that doesn’t seem to match up? What about the bio section—is it nonsensical or vague? Probably a fake. Sketchy content. Look for ads, spam and other posted content that just feels…shady. Automated comments. Unfortunately, we get these all the time on our McNutt & Partners Instagram. Comments like “Great photos!” or “Love your feed!” These are sure signs of bots. Inappropriate comments. Bots don’t comprehend context. Some of the automated comments mentioned above may appear somewhere completely irrelevant—like, “Great photos!” on a picture of someone’s grandmother who passed away. What can I do about fake followers? No one has time for fake friends—especially when it’s hurting you on social media. Luckily, you have defenses against these faux followers. For one, when you spot a questionable account, you can manually block that user, which will in turn prevent the user from seeing your content and remove the user from your follower list. If you have a significant number of followers with limited time to weed through them all, there are automated tools that were designed specifically for this purpose. Programs like Fakers App for Twitter and Social Audit Pro for Instagram are a couple of automated tools to help you audit your followers. There are also free online tools like this fake follower bot checker, which allows you to type in an individual username to determine whether it is a fake. 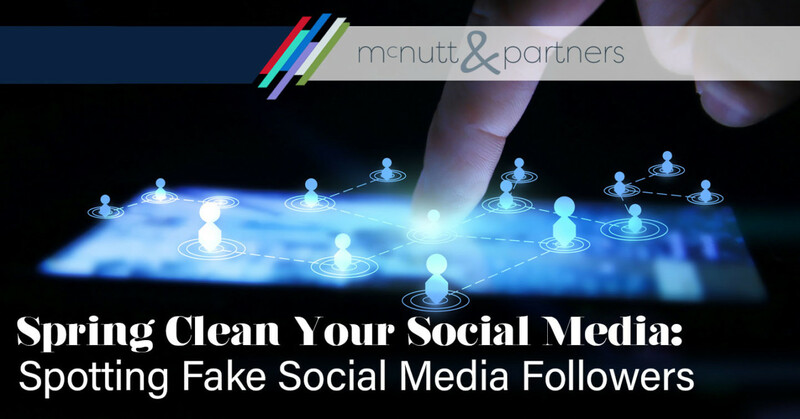 Start your spring cleaning by ridding your page of fake social media followers that only serve to bring you down. Need help? Call us at 334-521-1010, or visit our contact page. Think about opening a book. What do you see? Large type? Small type? Line breaks? Huge paragraphs? Some of this probably sounds preferable over the rest. That’s because as human beings, we are inclined to favor what is easier and more pleasing for us to read. It’s not just true for hardbacks and paperbacks. We want the content we read online to be seamless and appealing as well—all in an effort to give us the best web browsing experience. 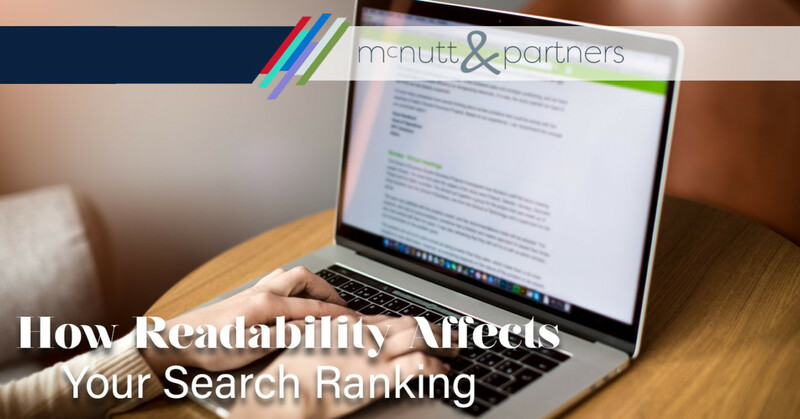 Not only does the readability of your online content affect your followers, but also readability affects your search ranking. Readability refers to how clear a section of copy is for both reading and comprehension. Google likes quality content (cue the fact that stuffing keywords into copy is no longer acceptable to the search engine). Quality content to Google also encompasses the readability of text on a web page. While there are more than 200 ranking factors that go into Google’s search algorithm, readability is one that has become—at least indirectly—increasingly significant in terms of SEO. Though it may not be something that is directly measured, it definitely affects the user experience. User experience correlates to direct ranking factors like the amount of time someone spends on a page, for example. With Google’s latest update, Hummingbird, the search engine has taken mimicking human behavior more seriously. This includes trying to read web pages like a human would. That being said, paying attention to readability when devising web copy is not only important for the sake of your site visitors, but also to appease Google in hopes of scoring a higher ranking. What does good readability look like? To answer this question, think about what you do when you visit a web page. 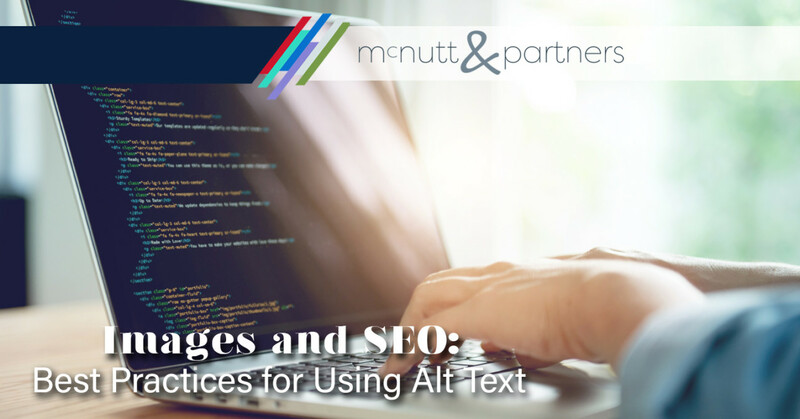 Unless you’re just sitting down for some quality web browsing time, you’re likely quickly scanning the page, reading headlines and subheads in an attempt to get the main gist of the article without having to read it word for word. Google does the same thing. It prioritizes a combination of sentences that are concise and to the point with longer ones in a manner that flows conversationally. It also likes content to be grouped together in a way that makes sense using a visual hierarchy to break up long blocks of text. Another factor to note in the way that readability affects your search ranking—voice search is on the rise. In response to a voice search, Google wants to pull content that answers the question, but that does so in a clear, concise way. It doesn’t want to read a long, drawn-out sentence that takes too long to get to the point—and it won’t. How can I improve my content’s readability? Now that you know you need to do it, here are a few ways you can improve the readability of your web content. Use simple words. Your brand’s web space is no place to show off your vocabulary. Difficult and complex words are a quick means to losing readership—and Google’s blessing. Choose concise sentences. Along the same lines, keep sentences relatively short as well. Try taking a long sentence and breaking it into two shorter ones. It’s OK to alternate between short sentences and slightly lengthier ones, but keep the multiple clauses to a minimum. Break up long stretches of text. Not only do the length of your words and sentences impact how readability affects your search ranking, but so does the content structure itself. There’s nothing that makes a website visitor want to leave sooner than a scroll of grey text that goes on for days. If you’ve got a lot to say—that’s OK, but make it easier on your readers by organizing content with heads, subheads, lists and/or bullet points. Graphics, charts, pull-quotes and more are also good ways to break up the boring. Get to the point. Content structure also matters in terms of how you structure copy within a paragraph. Make your main point clear out of the gate, then fill in with supporting details as the paragraph goes on. 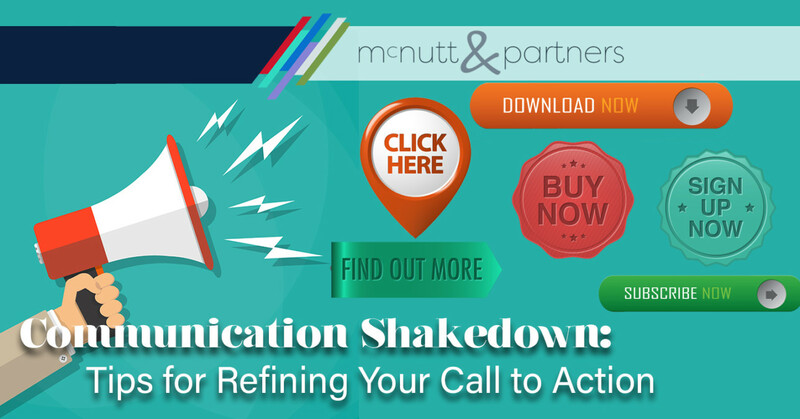 Opt for a conversational tone. Online, it pays to keep your copy casual. This is no college research paper, so don’t address your audience like it is your professor. Imagine that you are talking to someone in real life as you write. Find a font that is easy to read. It’s all about sans-serif—at least for your long-body text. Serif fonts are better suited for print materials like magazines and newspapers, where they thrive more than they do on screen. Also, pay attention to the size of the font. Long-body text should not be too large or too small. If all else fails, read your web copy out loud. If I doesn’t sound good to you, it likely won’t sound good to anyone else either—including Alexa, Siri or Google Home. Does worrying about the readability of your online content give you a headache? The McNutt & Partners team can help. Call 334-521-1010, or visit our contact page. In the wide world of the internet, claiming ownership your online assets is critical in order for your business to appear reputable and legitimate to web users. It also maintains that your online assets are just that—yours—and that they cannot be claimed or misrepresented by anyone else. Facebook offers you a way to “claim” your pages, and it’s called verification. 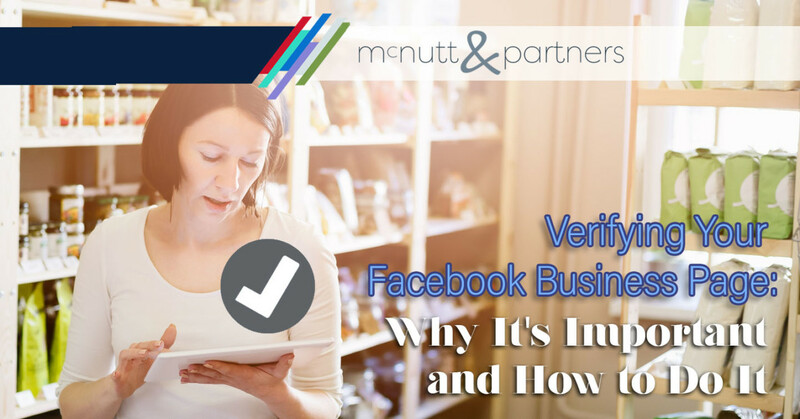 Verifying your Facebook business page is not a requirement, but it is in your brand’s best interest for several reasons. Verifying your Facebook business page can help your brand in a variety of ways, including search engine optimization. When you go to verify your page, even Facebook tells you that doing so will help your page rank higher in search results. In addition to SEO, verifying your page adds that level of legitimacy that we previously mentioned. It shows your followers that yours is “the” official page representing your brand. That way, if for some reason a duplicate or similar page is created, Facebook users can see that yours is the real deal—not the imitator’s. Giving this officiality to your brand’s Facebook page is especially important for consumers today, who are more cognizant than ever of where their content is coming from. They want to know that they are following legitimate sources when it comes to their online content. A gray badge indicates that it is an authentic page for a business or organization with a confirmed location. There are also blue badges, which are used to indicate verification for public figures (including celebrities), media companies and larger brands. For example, Bed Bath & Beyond’s brand page has a blue badge, while a specific Bed Bath & Beyond store’s page would have a gray badge if verified. 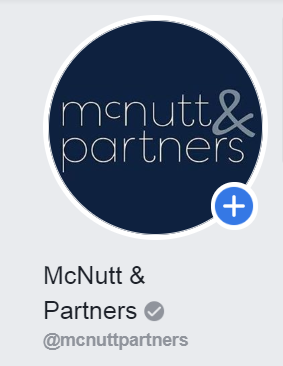 At McNutt & Partners, we’re considered a small business with a confirmed location, so we get the gray badge. Select “Settings” in the top right corner of your page. Facebook will then send an automated call to the number you entered. Answer your business phone and write down the code provided. Enter the code in the space indicated on your screen. Ta-da! Your page should now be verified. While Facebook assures that it will keep this information private, the phone call option does seem to be the easier of the two. The document option requires a manual review, which could take longer (anywhere from 48 hours to 45 days, according to AdEspresso). In our experience using the phone call/code method, we have received immediate verification for the pages that we help manage. Speaking of help, if you need it, we’re here. We work to make sure that all of our clients pages are verified and much more in an effort to help them secure their digital assets. Give us a call at 334-521-1010, or visit our contact page.